Time to shine with your personality and the extraordinary golden jewelry by JO & JUDY! 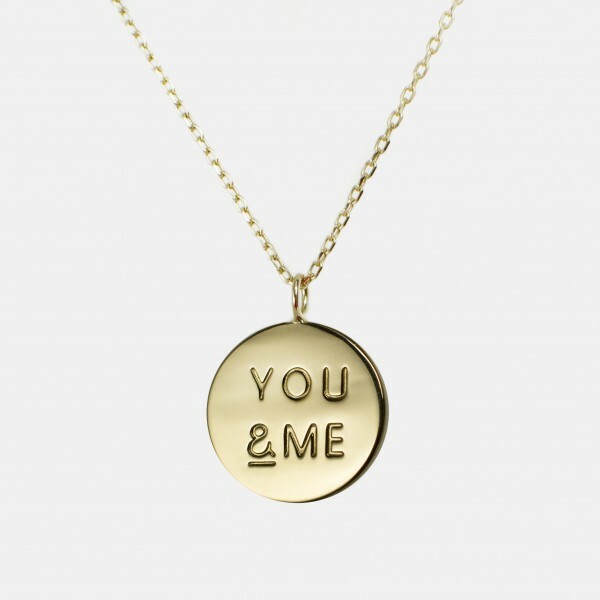 Wear the golden You & Me necklace as a proof of love or gift it to a loved one. When pairing your You & Me charm with the fitting necklace, you can choose between a delicate golden 40 cm necklace and a 46 cm necklace to make your charm stand out. Create a unique layering look with the help of different charms and necklaces with various lengths! Care tip: To keep your charms and necklaces as gorgeous as they are, please avoid any contact with water or other liquids.